Minimalist EnamelArt pendant features rough vitreous enamel on Sterling Silver with a subtle pierced design. Pendant measures approx. 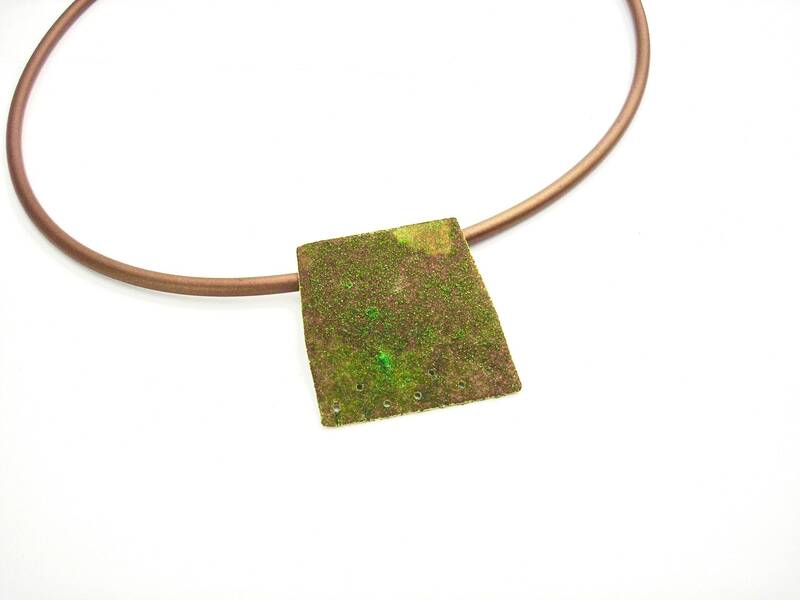 1 1/4" square, and is suspended from a copper-colored rubber neck cord with Sterling clasp.